How do I assign an SSID to an AP Profile on the D-Link DWC-1000? How do I configure a new SSID on the D-Link DWC-1000? This article is for the DI-514, DI-524, DI-614+, DI-624, DI-624S, and DI-714P+ Wireless Settings. 1.How to change the preamble on my DI series wireless router? Step 4: Select Short or Long next to Preamble Type. If you experience lock-ups when transferring large files, then select Short preamble. You must also match your other wireless devices with the same preamble setting. 2.How to change the SSID on D-Link wireless router? Step 1: Open your web browser and type the IP address of the router in the address bar. The default IP address is 192.168.0.1. At the login, enter your username (admin) and password (default password is blank). 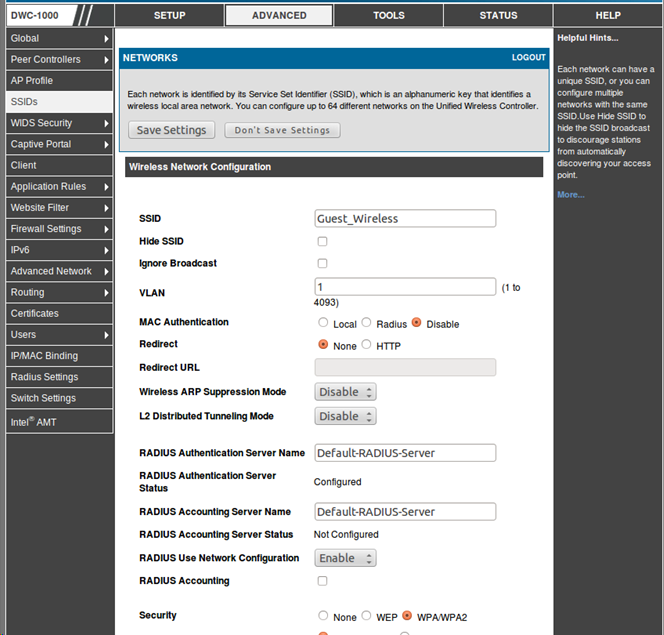 Step 2: Click on the Home tab at the top of the configuration page and then click the Wireless button on the left side. Step 3: Next to SSID, type in a new SSID. The SSID (Service Set Identifier) is the workgroup name of your Wireless Network. All devices (access points, wireless routers, and wireless adapters) must have the same SSID to communicate on the Wireless Network. The SSID can be up to 32 numbers, letters, spaces, and dashes. Also, the SSID is case-sensitive. Step 4: Click Apply and then click Continue to save your settings. 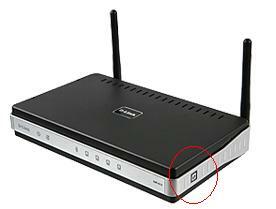 3.How to change the channel on DI series wireless router? In the 802.11b/g (2.4Ghz) standard there are 11 channels (US) to choose from, all but three are overlapping channels. Channels 1, 6, and 11 are the only non-overlapping channels. The channels can be changed to avoid interference from other wireless devices that run on the 2.4 Ghz frequency range (I.E. 2.4Ghz cordless phones, bluetooth, and X-10). Step 3: Select a channel from the drop-down menu. For best results, use channel 1, 6, or 11. Step 4 Click Apply and then click Continue to save your settings. When you disable the Broadcast SSID on your Access Point (AP) or wireless router, you will no longer be able to view the SSID in Site Survey. The only way to reconnect is to manually configure the wireless card. Step 1: Log into the configuration by double-clicking on the bar graph icon in the system tray. You can also access the configuration by double-clicking on the blue D-Link icon on the desktop. 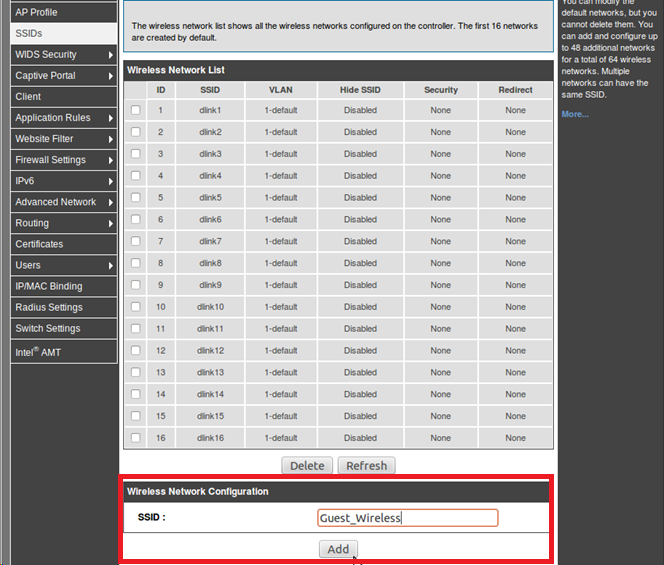 Step 2: Select the Configuration link from the left hand menu. 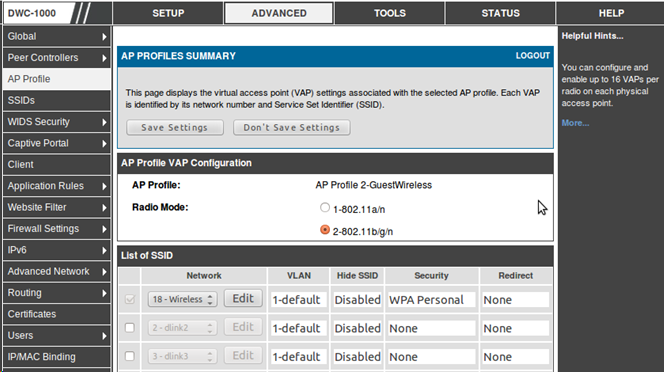 Enter in the SSID of the AP, change the mode to Infrastructure, and click Apply. Step 3: You can view your link quality and signal strength from the Link Info page.